It’s been a while since we showed an update on J-Stars Victory VS, the exciting fighting game for PS3 and PS Vita but some new developments have been announced. 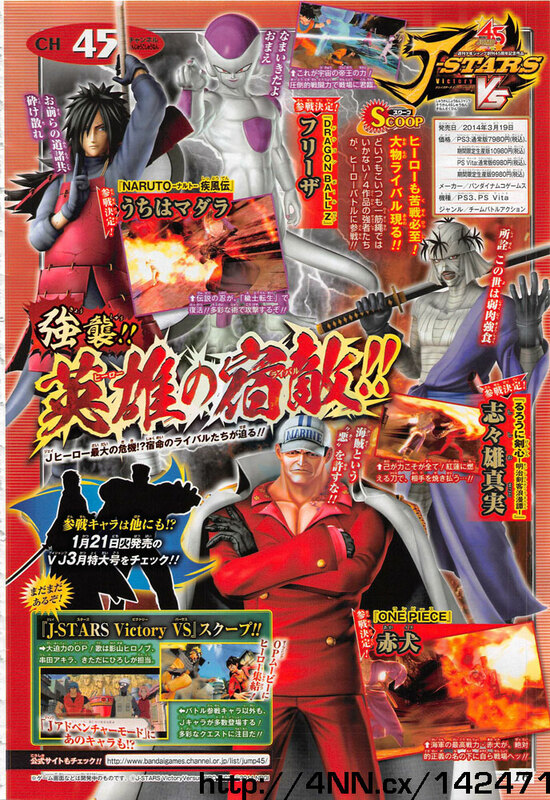 Four new characters have been revealed to be making an appearance in the latest Jump magazine. So who are the characters making an appearance? We have Freeza fromDragon Ball Z, Akainu from One Piece, Madara Uchiwa from Naruto Shippuden and Shishio Makoto from Rurouni Kenshin. Is anyone as excited for this game as we are? It hits Japan on March 19, 2014.